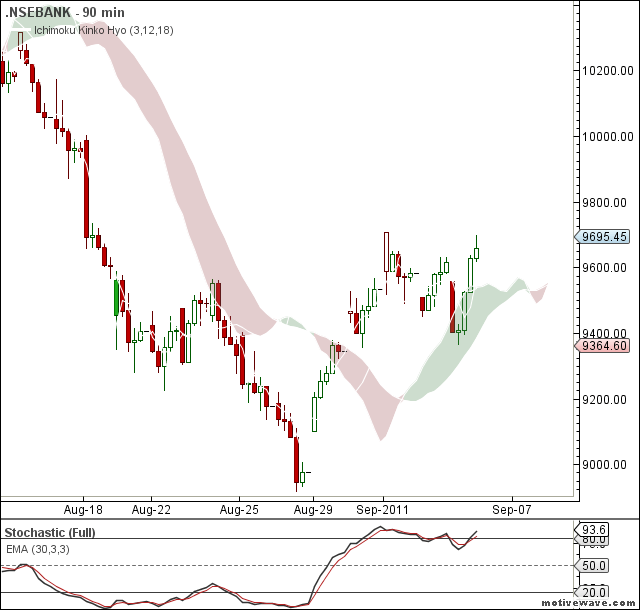 Nifty and Bank Nifty charts are in buy mode on the 90 min charts and today both the charts had just kissed the cloud support zone and bounced back in the noon session. 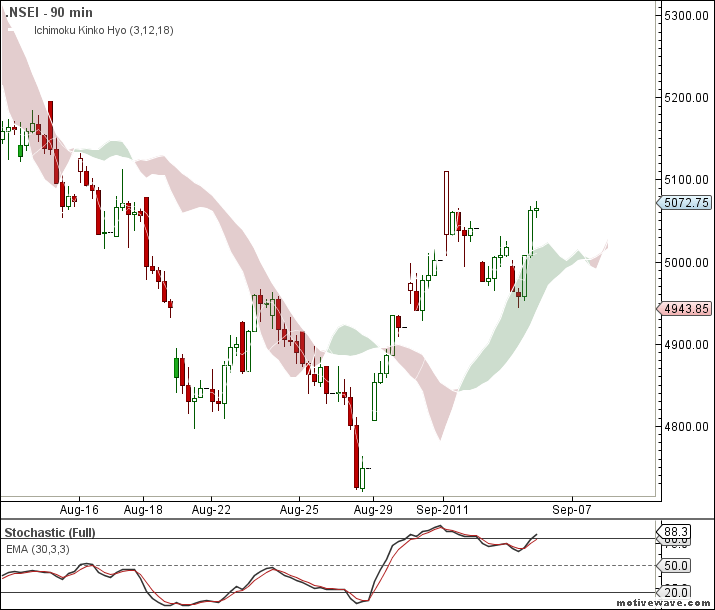 As of now the cloud supports are near 4958 and 9445 repsectively. Thanks for your updates. Could you please tell me which charting application that you are using?